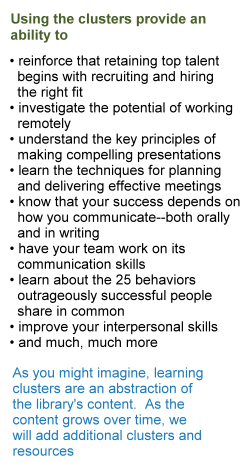 Develop an effective interviewing plan. Save time and be more efficient when reviewing resumes. Americans with Disabilities Act interviewing guidelines. Questions not to ask during an interview. Note: Interviewing for Success contains numerous printable forms and resources. 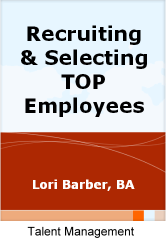 Evaluating and Clarifying Your Staffing Needs. 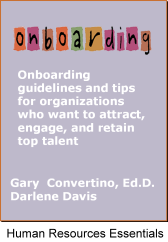 Whether starting from scratch or seeking ways to expand your current program, this book will provide the foundation you need to plan and implement a well-rounded, onboarding program in your organization. The authors build a convincing case for organizations to go beyond orientation (which focuses on the new hire completing documentation and compliance matters) to an in-depth process that involves integrating the employee into his or her new work environment over a period of time. Furthermore, they tell you how to do it. Who does what, by when are outlined and the specific roles and responsibilities of human resources, managers, department supervisors, and others with whom new employees will be interacting are defined. Numerous checklists, exercises, assessments, resources, discussion tips, and development ideas are provided that will help you engage and retain new hires from pre-recruitment through year one. 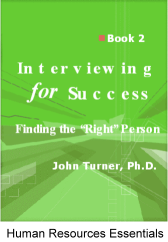 To ensure that your new hires transition successfully into your company's culture, builds relationships with others, navigates throughout the workplace with ease, and quickly reaches maximum productivity, make this book a must read for everyone in your organization.